As you know, this blog is about my life and how it is changing. Well, I am so excited! My fiance and I put an offer in on a house yesterday. After we did this I was thinking, "Holy cow, I am going to need SO much stuff in a short amount of time!" On that list, are high dollar (in my opinion) items...such as vacuums and mixers! Good news! I found a fellow blogger who is giving away a mixer! 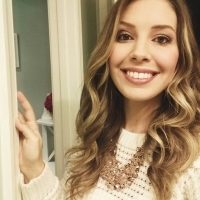 Her blog is called Sweet Sorrella! Not only is she giving away a Kitchenaid (best of the best) but its also in a color that would make the color scheme I picked for what COULD be our new house! How awesome is that?! ANYWAY, here is a link to her blog and giveaway! If you are in the same boat as me, or just want to win a mixer, follow her blog and enter! P.S. - It ends Feb 10th! So get your entries in quick! On Wednesday, December 14th....my boyfriend asked me to join him for a ride in his truck after work. We were driving around PA looking at Christmas lights with our two best friends (my favorite thing to do!). He pulled out a pair of his sunglasses and wrapped electrical tape around them. He said, "I was going to blindfold you, but I didn't want to mess up your eye makeup...so put these on). I was so confused, but excited! After another ten minutes or so of driving, we got out of the truck and went into "the place". I was then allowed to take off my blind fold! ALAS! We were at Longwood Gardens! It is a beautiful park that gets decorated amazingly for Christmas every year. I have always wanted to go but just didn't get a chance to go there. We walked around for quite some time and ate some dinner. We got to an indoor area and there was this perfect picture area! So I asked him to take a picture there with me. We gave our camera to our friends so they could take the picture. 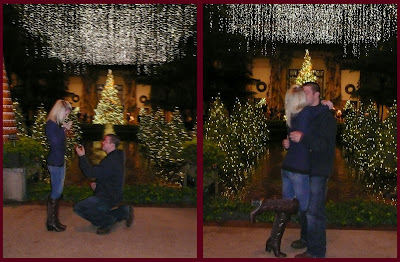 When I went to look at the camera and smile, he proposed! They got the pics of him asking me and on his knee! Of course....I said "YES!" 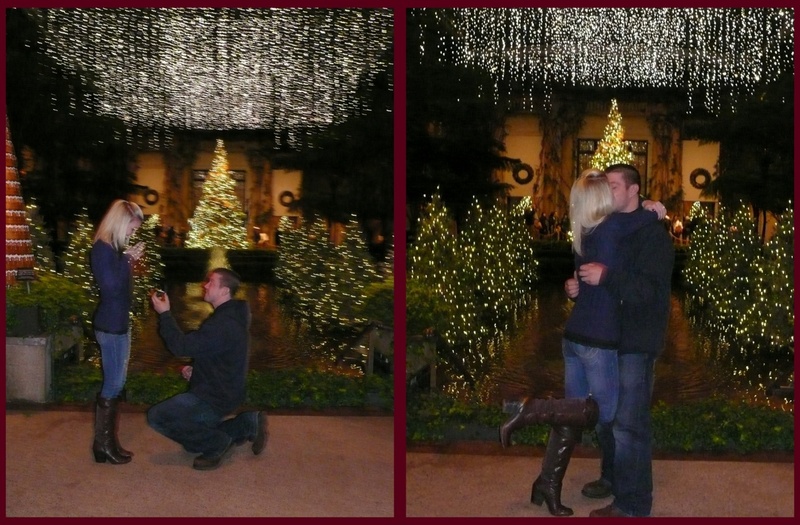 We also have a picture of him popping the question! It was such an awesome night! 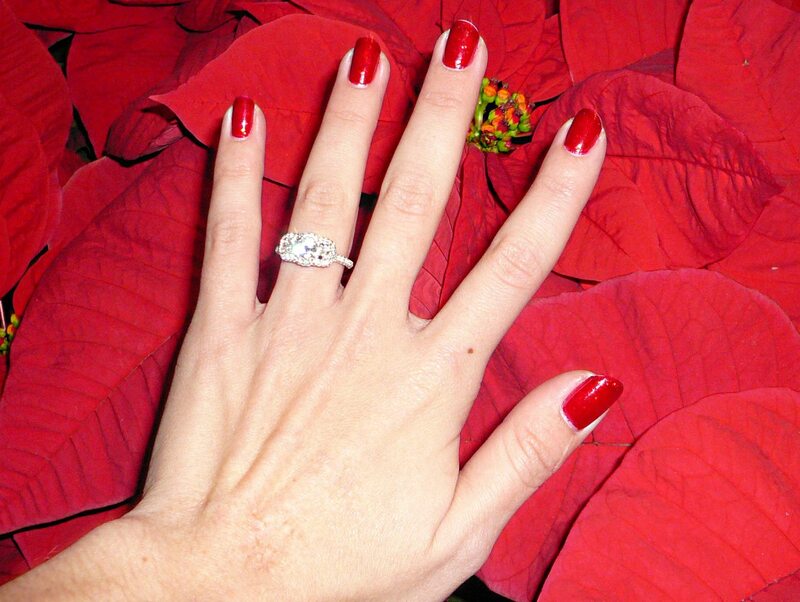 Here are the pictures of the engagement and my ring ::Sigh:: Its so pretty!! I wanted to give a quick rundown of what you are going to see on my blog! This blog is going to focus on what is going on in my life! I recently got engaged! (My next post will be about how it happened!) WHICH MEANS....I will be planning my wedding. We are on a budget so there will be a lot of DIY involved. I will be posting my creative ideas and DIY projects for the wedding and reception! ALSO, we are in the market for our first house. We are focusing on smaller town homes that need some work (again, small budget!). So, the DIY projects will be happening! I will be blogging as things happen, so if there is a slow couple of weeks, you may not see any new posts.